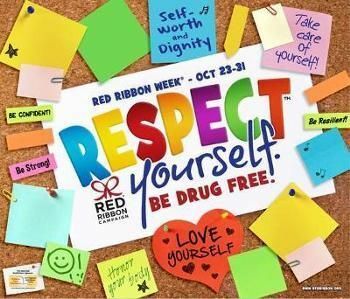 “In response to the murder of DEA Agent Enrique Camarena, angered parents and youth in communities across the country began wearing Red Ribbons as a symbol of their commitment to raise awareness of the killing and destruction cause by drugs in America. In 1988, NFP sponsored the first National Red Ribbon Celebration” (redribbon.org). We want to bring the anti-drug message to our students by making them aware of common drugs and likely situations where they will be pressured/exposed to drugs & alcohol. We also want our students prepared w/ strategies to avoid unsafe and unhealthy decisions and habits. Students were encouraged to participate in anti-drug theme w/ a message. This message was reinforced in the classroom & daily announcements. ALL Students received a RED GLOW-in-the-DARK Bracelet w/ an ANTI-DRUG MESSAGE. We did not have a raffle w/ prizes & rewards (extrinsic). We are just bringing the anti-drug message into the spotlight & encouraging/empowering our students to make good choices and be aware. Nurse Nancy Hogan volunteers at Main Street School as well as serves as a substitute school nurse. “Nurse Nancy” spoke to all (4) grade levels. In Kindergarten & 1st grade, she talked about “good drugs & bad drugs.” Medicine prescribed by a doctor is a helpful drug that only parents or doctor give. Even the school nurse cannot give medicine without parent permission. In 2nd Grade, she talked about smoking & negative health effects of cigarettes. Cigarettes are dangerously addictive as well. The students discussed reasons why youth start smoking: to “be cool,” to fit in, peer pressure, to be “grown-up,” etc… Specific diseases associated with smoking were discussed and symptoms as well as how it related to the effects of the smoking habit. Lung cancer, breathing problems (students knew people walking w/ an oxygen mask & tank), heart conditions such as a heart attack were among the harmful risks. 2nd hand-smoke – breathing in smoke from adult in the car or house was discussed. Children knew smoking made your clothes smell, turn teeth yellow and gave bad breath. 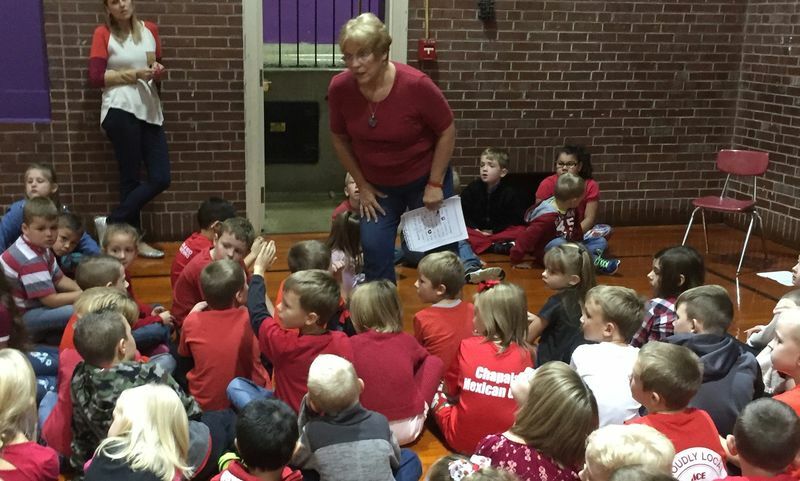 Nurse Nancy encouraged children to not try smoking even when of age. 3rd Grade discussed alcohol & the harmful effects. This includes beer, wine, and liquor. This was a similar conversation to smoking. Drinking causes abnormal decisions that are unreasonable/irrational otherwise. Drinking & driving is dangerous. Students brainstormed other options to drinking & had some time to reflect.